That was on Friday when I was called by Ash to help with his EoE 10man run. 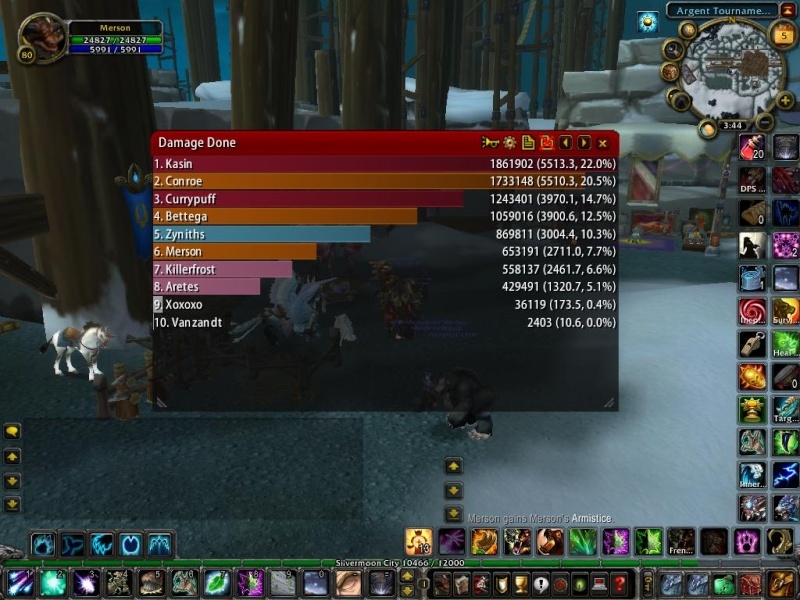 Look at the numbers, I know you may say that was power sparks buff and all but with those dps, we only had 2 vortexs. Fight started and as always, 1 vortex then we had 1 power spark buff, after which another vortex, then a 2 stack power spark buff and phrase 1 was over. We didn't spend much time in phrase 1 with those dps. 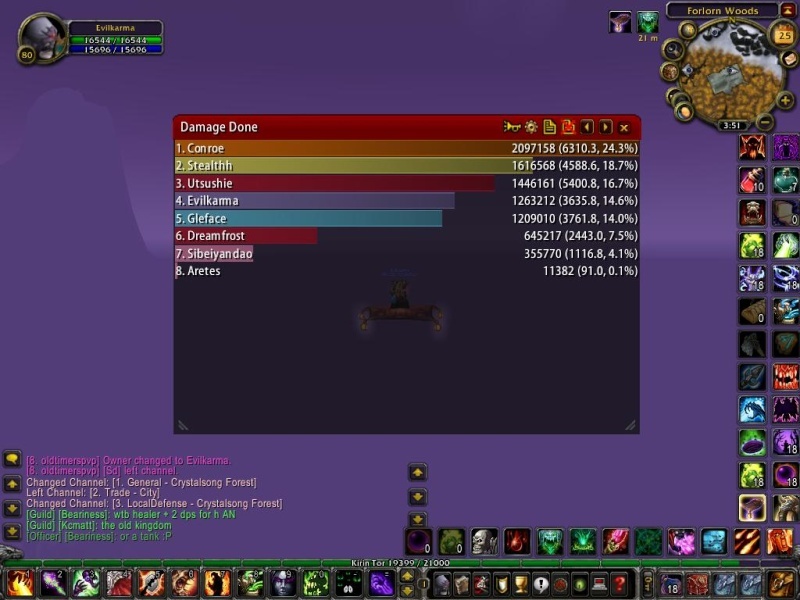 2 healers died to the vortex but the group managed to still down Malygos with almost 1min to spare. With Gle and my dps, in our guild run, we'll probably be close to the top if not, top of the dps but in that run, we were pretty much last. 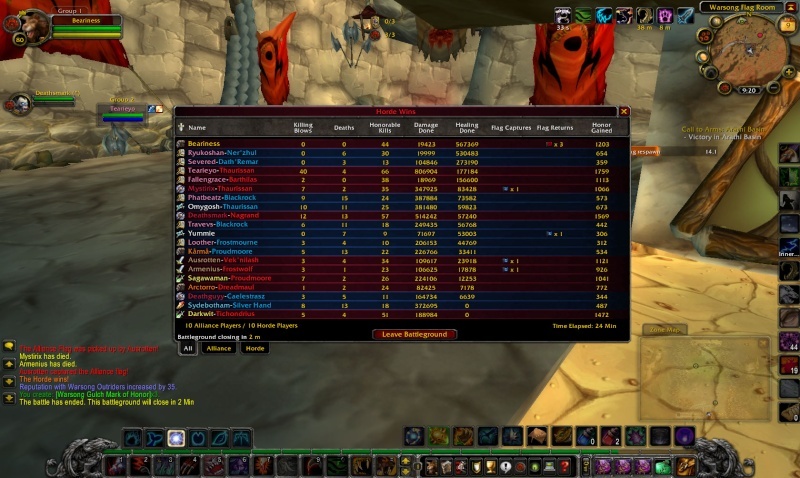 You might say that they were probably 25man geared, had BiS gear but that might have accounted for 1k dps? My DPS with arcane is about yours without the power spark, kk thx i have started making flasks for myself tho, and if anyone wants to hand over frost lotuses i'll happily make them for others. Shards wrote: My DPS with arcane is about yours without the power spark, kk thx i have started making flasks for myself tho, and if anyone wants to hand over frost lotuses i'll happily make them for others. I could roll my face on my keyboard and do that kind of dps. Longinesu wrote: I could roll my face on my keyboard and do that kind of dps. I wanna see!!! Do a clip to show us! Btw we miss joo and ama when are u guys coming back! Also, for phrase 3 in this fight, the general to move is always to the RIGHT. But we only need to move when a stactic field comes to us, then we quickly shuffle to the right, out of it and stop to dps. This helps the healers stay in range of everyone to keep their HoTs up. I will 1-shot holyfire you mage face! LOL and let me dps!! !